America’s top cross-country mountain bikers can now see the singletrack leading to the 2020 Olympics in Tokyo. That path includes several twists and turns. 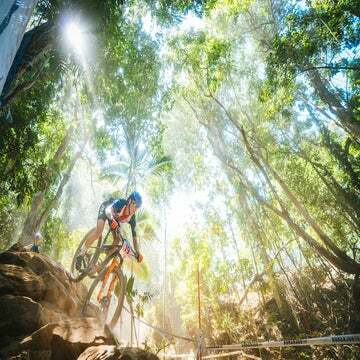 On Wednesday, USA Cycling unveiled its Olympic qualification standards for the men’s and women’s cross-country mountain bike teams. USA Cycling has again adopted a tiered approach for automatic qualification, which focuses on two races: the 2019 UCI world championships in Mont-Sainte-Anne, Quebec, and the 2020 World Cup opener in Nove Mesto, Czech Republic. Riders who meet the criteria earn an automatic berth on the Olympic team. However, riders who score higher on the tiered scale can, in theory, bump riders who score lower on the tier out of contention. I know, it’s tricky, but bear with me. Tier one outranks tier two, tier two outranks three, and so forth. In theory, a rider could score a third-place finish at the 2019 worlds and believe he or she is on the team, only to be bumped off by a rival who wins the World Cup opener. In previous Olympic years, USA Cycling included additional World Cup results from the Olympic year. The federation will focus solely on the World Cup opener for 2020. 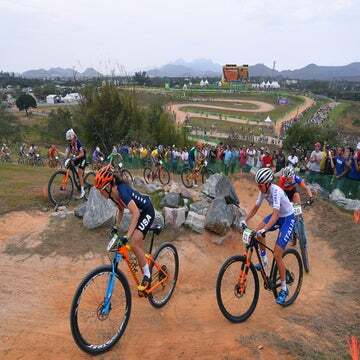 Marc Gullickson, USA Cycling’s mountain bike coordinator, said the focus on just two races stems from the mountain bike event’s place in the Olympic schedule. In previous years, cross-country was one of the final Olympic events. In 2020, the men’s and women’s races fall on July 27 and 28, respectively, which comes just eight days into the Games. The second 2020 World Cup round, held in Andorra, falls on June 21, which would give the riders just one month to recover and then build back up for the Olympics. The publishing of the Olympic criteria officially kicks off the American chase for the 2020 Olympics, which has produced high drama in year’s past. The 2005 film “Off-Road to Athens” captured the yearlong effort by America’s top cross-country riders to score a spot on the 2004 Olympic team. Three years later, I wrote about a similar season-long chase for the 2008 Games in the pages of VeloNews. In both instances, USA Cycling awarded Olympic spots based on riders’ total UCI points. The model forced the riders to embark on an international hunt for UCI points at World Cups and even smaller events at the far corners of the planet. Riders were exhausted from the chase by the time they got to the Olympic starting line. In my opinion, this tiered approach that focuses on two marquee events is a smarter system. And with the U.S. having a strong women’s lineup of potential medal winners, the new approach could give the women more time to prepare for the Olympics. And there’s still a yearlong chase for us to follow. In order to score the maximum three spots for the Olympics, the U.S. women must finish first or second in the UCI nations rankings for the combined calendar years of 2018-2019. Right now they are ranked No. 4 behind Switzerland, Canada, and the Netherlands, 200 points away from second place. What does that mean? Every time Kate Courtney, Lea Davison, Erin Huck, Chloe Woodruff, or another U.S. woman starts a World Cup this year, there’s a lot at stake. The pathway is more challenging for the U.S. men, who look destined to score one spot for Tokyo. So keep watching America’s cross-country mountain bikers this season. There is much on the line.